Jyreika is making her Kokandy Productions debut! She boldly made Chicago home performing her one-woman show ‘Arn’t I Still: Lessons of Her for the Solo Chicago Festival three years ago. She’s so thrilled to work with Kokandy Productions and join The Wiz cast! 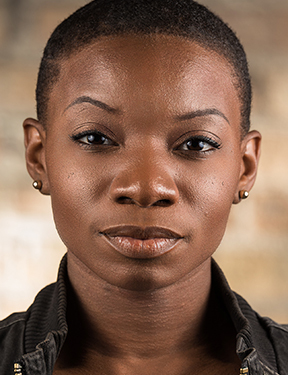 She’s an active performer in the Chicago area and house ensemble member of Chicago Slam Works where she starred in three of their debut season of original shows, Redlined, Have a Great Summer, and Incendium. She’s featured for several festivals in the Chicagoland area including Ravenswood Art Walk and was a RAW Artist in Spoken Word in Cincinnati, OH. She’s obtained her Master’s in Public History and a BFA in Musical Theatre. Other theater credits include: Piece of My Heart (“Steele”) Strong Women (“Woman Two”), Rhinoceros (“Boss of Cafe/ Fireman”), 2009 YES Festival World Premiere of Shock and Awe (“Captain Martinez”), Once on This Island (“Peasant/Storyteller”), Children of Eden (“Storyteller”), Freedom Speaks (“Rosetta”), and for colored girls (“Lady in Blue”). Blessings!